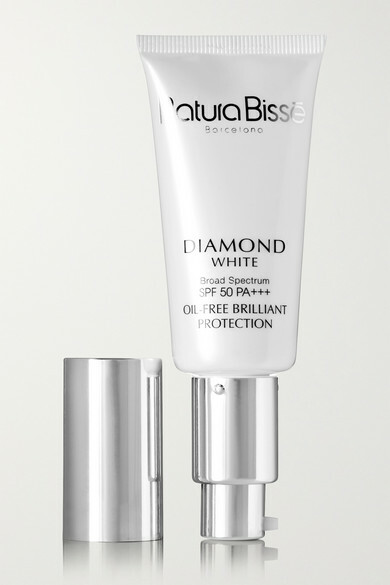 Natura Bissé's Diamond White cream contains SPF 50 to protect your skin from harmful UVA and UVB rays. Harnessing the power of depigmenting agent Ellagic Acid - a component of Pomegranate Extract - it fights the signs of premature aging by preventing the appearance of dark spots and minimizing existing marks. This slightly tinted formula improves skin tone and maintains hydration levels, too.